This is a long waited update for our official iOS Client. But I can assure you this is the best AppCake ever. AppCake 4 was rewritten from the core for iOS 7, you will get background downloading, local notification and Air Drop sharing etc. lots of iOS 7 new features. Also the speed of the app is much improved, we abandoned the fancy UI and complied to the simple system UI for entire app. 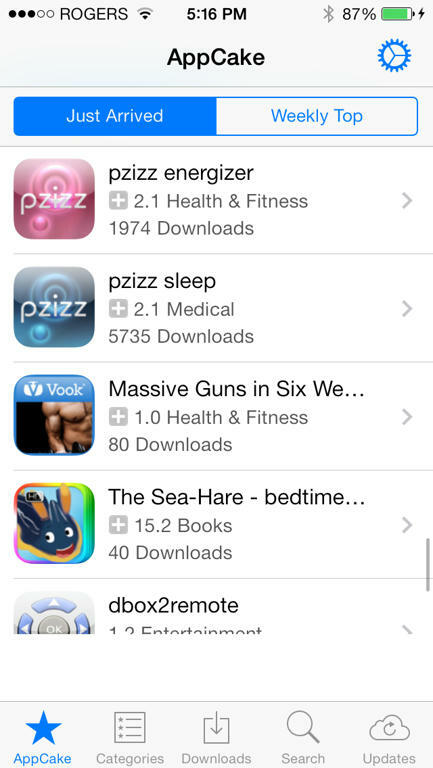 This version is for iOS 6 and above, you will get best performance in iOS 7. How I like AppCake 4! NO lags, Super fast, downloads are pretty good and looking good . Could you include AppCake in-App Update feature of AC itself when you can? Just knew about this. However, it seems I'll be stuck on version 3 for a while. My uncle's iPad 1 can only go up to 5.1.1. (I'd just checked Cydia.) I was notified about the update, though. 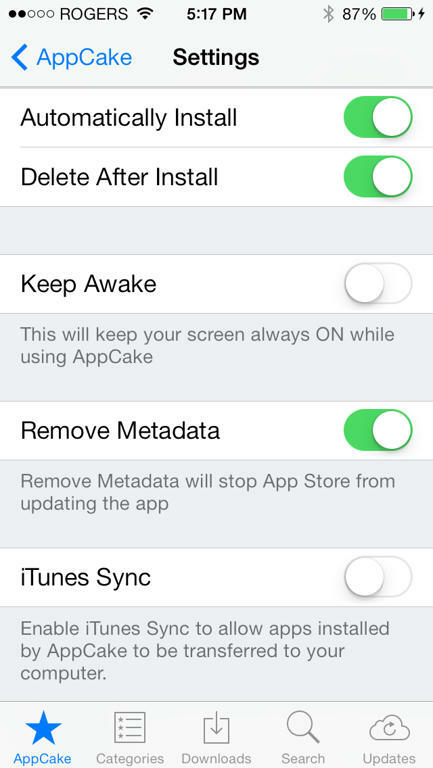 •On opening Appcake it gives an error that "A newer version of AppCake is available". •When we click on download link of any app a window appears saying" Update AppCake to Skip this AD Page OR Your AppCake is outdated"